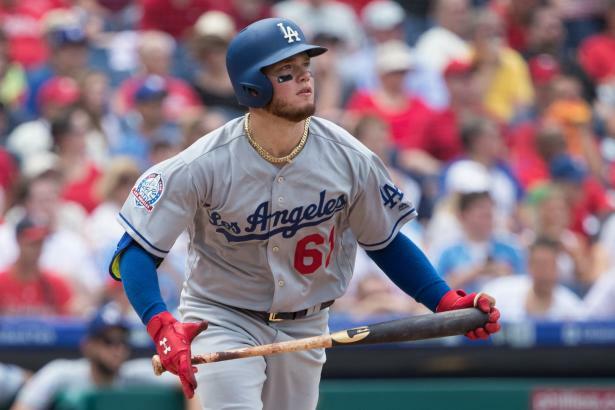 We continue our BaseballHQ.com 2019 Organization Reports—the prospect lists with a built-in fantasy edge. From now through early January, we'll take an in-depth look at the top minor leaguers with the brightest fantasy futures in each MLB organization. Whether you use these lists to stock your keeper league's farm system, or to familiarize yourself with the prospects that will make an impact in the 2019 season, there will be tons of info to mine. Each Report includes a snapshot overview of the organization, with grades in several categories, and a list of minor-league affiliates for 2019. Then, the top 15 prospects are ranked, with stats and metrics from each player's career, a complete scouting report and his likely development path on the way to the majors. In addition, we project what type of impact the player will have on a fantasy roster at maturity, and give each prospect his own two-part grade that encapsulates his upside and probability of reaching it from this point in time. A complete schedule, background on the player ratings, and archived lists from previous seasons back through 2010 can be found here. And for even more prospect coverage, including scouting reports on more than 1000 prospects, lists upon lists, essays, and our exclusive HQ100, consider the 2019 Minor League Baseball Analyst, which ships in late January.